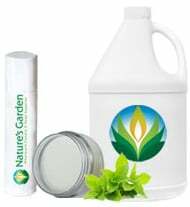 This fragrance oil by Natures Garden is the aroma of sweet and sour cucumber and a deep green oily note with hints of violet. 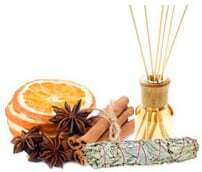 NG Recommended Fragrance Usage: Cucumber Wholesale Fragrance Oil: The percentages listed below reflect our maximum suggested fragrance usage in the corresponding finished products. To review the actual IFRA Certificate of Compliance for this particular fragrance, please refer to the Fragrance IFRA Certificate link on this page. 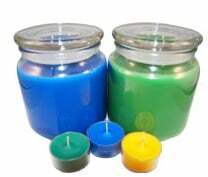 Candles Use 1 drop of green liquid candle dye per 4 pounds of wax or shred a small amount of a green color block into your melted wax. Never use crayons to color your candles as they will clog your wick. 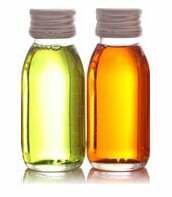 Fragrance Testing -Performance in Various Applications- Cucumber Wholesale Fragrance Oil: Note: Our testing notes should never take the place of your own personal testing. Always test fragrance in all applications. We do not take responsibility for our test results differing from your test results. Natures Garden is not responsible for any finished products made with our raw ingredients. Cold process soap testing was done by our staff using strict controls. Stick blenders can help to incorporate fragrance back into the soap in the event that it rices during the mixing process. Soaping at room temperature can help to reduce the likelihood of accelerated trace. Fragrances containing vanilla ingredients may discolor soap. Vanilla White Color stabilizer may help prevent discoloration due to vanilla. 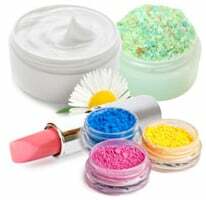 However, there are more than 40 ingredients used in fragrance manufacturing that may contribute to discoloration of products. Soap (Cold Process Results) Perfect Pour, no ricing, no acceleration, no separation. No discoloration after cure. Scent stayed nice and strong. Definitely phenomenal in cp. This fragrance is sooo nice. The best cumber scent I´ve found so far and very true to life. So cool and refreshing like cutting fresh garden cucumbers right out of the fridge. Great by it´s own or as a mixer. I use it for my Spa line. Very strong throw in Parasoy. This is the most refreshing scent. I feel instantly refreshed when I use a scrub scented with this fragrance oil. 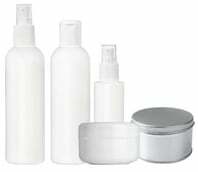 I also make lotion and hair conditioner. What a clean and refreshing scent! I use this in my spa candles. It is very relaxing, totally perfect for my candles. This is so strong and true. I love it in lotions and scrubs. My customers request this one in bath bombs to. I plan trying it tomorrow. I will let you know how it turns out! This is the strongest cucumber fragrance oil I have ever used. The scent throw in my palm wax candles is out of this world! Buy the bigger bottle...you will not be let down with this cucumber scent! I love this fresh scent in my creamy body butter. This was perfectly behaved in CP soap and my soap smells very good. It's fresh and great for spring/summer. It smelled perfect out of the bottle, but once soaped it went a little bit too much on the sweet side for me--I wish it was a little more "green" and little less sweet, but overall I do like it and so do the people I made soap for. This smells sooooo good. Just like my favorite Yankee cucumber candle that was discontinued.